We talked a bit about the Software Development Life Cycle (SDLC) in a recent post, but today, we're going to dig a little deeper into one specific and crucial element in the testing phase, particularly for Agile development: regression testing. Regression testing refers to the process of testing a changed or updated computer program to make sure the older software features - which were previously developed and tested - still performs exactly as they did before. One way to think about software regression is to think about somebody who implements a new air conditioning system in their home only to find that while their new air conditioning system works as expected, the lights no longer work. Complex: Another thing to consider here is that as products get updated they can grow quite complex causing the lists of tests in your regression pack to grow to a huge amount. As you and your team perform regression testing, there are a number of best practices to bear in mind. Regression testing should not be confused with retesting. Regression testing is performed to ensure updated code has not caused any existing functionality to break. Retesting on the other hand refers to tests that are performed when a test case has identified some defects. Once the defects have been fixed, the tests are performed again to ensure the issues have been resolved. 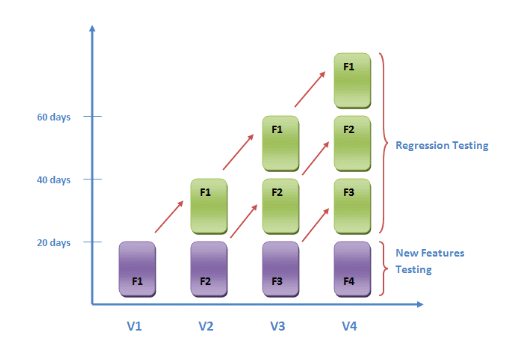 The post What is Regression Testing? Definition, Benefits, and Challenges of Regression Testing appeared first on Stackify.